With the baby boom generation entering the age range where they will demand increasing amounts of health care services, cost pressures will intensify for hospitals and academic medical centers during the next five to ten years. As a result, these organizations must take steps immediately to put in place management control systems that will help them control their costs in the most effective manner possible consistent with the provision of quality patient care. Phase I: A 3-day off-site financial-management training program for 25-35 of the medical center’s senior physician, nurse, and administrative managers. The goal of this program is to reach a point where a critical mass of senior managers (physicians and others) in the medical center “speak the same language” around issues of cost accounting and management control. Phase II: A change effort that takes place in the (roughly) two to three months following the training program. During this phase, a department, division, program, or similar organizational unit designs and implements an improved management control system. Phase III: A one-day workshop that presents the new system and describes how it is being used by the managers of the unit where it was implemented. Following the presentation, the medical center’s senior managers discuss how similar changes can be made in other organizational units, and develop an action plan for doing so. With increasing pressures to control healthcare costs, graduate medical education (GME) soon will be coming under increased scrutiny. At present, as defined and computed, Medicare’s payments for Direct and Indirect Medical Education (DME and IME) bear little relationship to the real cost of GME. In addition, a variety of definitional and computational problems have created a scenario in which Medicare and most teaching hospitals have no idea of GME’s real cost. At the heart of this problem lies an assertion by the Medicare Payment Advisory Commission (MedPAC) that “[t]he direct and indirect costs associated with training programs are indistinguishable; both represent costs of providing patient care.” This assertion reflects a troubling lack of understanding of some basic cost-accounting principles and, as such, serves to perpetuate the myth that the true cost of an institution’s GME program cannot be determined in any reasonable way. Professor Young’s article, “GME: at what cost?” published in the November 2003 issue of Healthcare Financial Management, outlines a methodology for computing the full cost of a GME program. The results of the methodology in a medical center with approximately 190 residents showed that the medical center’s actual GME costs were almost $1 million higher than those shown in the Medicare cost report, and that the differences were considerable from one department to the next, both in total and per resident. This one-day educational program addresses the need that all members of a hospital’s board of trustees have to be conversant in the basic principles of hospital finance as part of their fiduciary responsibility. 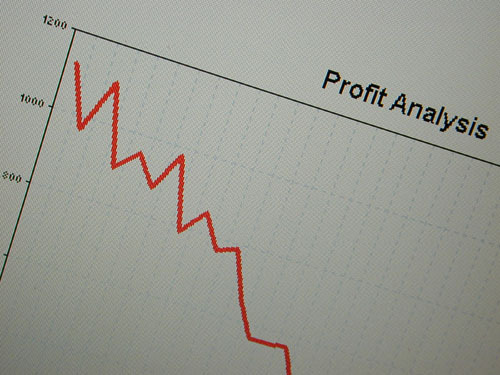 The program uses several case studies that build from the basics of financial accounting, to understanding a set of financial statements, to techniques for assessing the financial implications of major capital projects. The program requires a serious time commitment from all board members, including approximately 6-8 hours of preparation prior to the program itself.